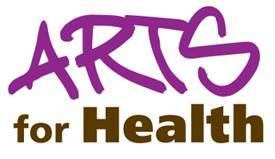 Arts for Health is a Blackpool council initiative that provides creative courses in a supportive environment for adults suffering or at risk of suffering from mental health problems. You can follow what we`re up to here. For our final workshops the group worked with the lovely local writer/poet Vicky Ellis...it was amazing what the group managed to achieve in such a short time. Each group member wrote a response to the 'Twilight Avenger', by Kelly Richardson still showing at the Grundy Art Gallery. Below is a group poem made from individual responses and the image below is one group members response to the piece. A collaborative poem in the Japanese Renga form based on The Twilight Avenger by Kelly Richardson.